Home Featured Stories WSOP? Yes! But plenty at home too! Your humble Ambassador made his annual pilgrimage to play an event at the World Series of Poker in June, but this time decided to skip the Seniors Event and give the relatively new Colossus a try. Being cheap by nature, part of the appeal was the smaller buy-in ($500 instead of $1,000) but there was also the fact that the total prize pool would be, well … colossal. There were six Day 1s to enter and many did so more than once chasing a piece of the $10,806,500 prize pool. The Colossus also sported a $1,000,000 guarantee to first place. The Seniors wound up paying a paltry $538,204 to the champion. So it seemed like the way to go—pay half as much with a shot at twice as much! What could go wrong? As often happens in tournaments, a lot. I never felt like I got any traction and I certainly didn’t get many hands worth playing. Meanwhile, with only 5,000 chips to start and 30 minute levels (the Seniors Event is 60 minutes) I felt things slipping away despite my best efforts to the contrary. Finally I was short stacked and in a blind vs. blind when the flop came 9-8-3. I’m holding an 8, so as long as he doesn’t have a 9 (and there are only three of them after all) I’m golden. He bets the flop from the small blind and I really only have two choices—fold what I think is probably the best hand or go all-in. As you have already probably guessed, I went all-in, he had a 9, and I was done for. Mrs. A and I spent the rest of the week hanging out, playing some smaller tournaments, and seeing a few shows, but my Colossal experience left me feeling a bit unsatisfied. Next year it might just be back to the Seniors. In the meantime though, there’s no reason to think you have to go all the way to Las Vegas to find big tournament action (whatever your definition of “big” might be). In the last few months Northern California has seen the Bay 101 Shooting Star break a record with 753, entries creating a prize pool over $5,000,000. Thunder Valley followed that up with the Rolling Thunder which went over $1,200,000. Turlock Poker Room’s WPTDeep­Stacks main event also broke a record, more than doubling their guarantee and going over $200,000. Add to that Lucky Chances Battle of the Bay in April and Bay 101’s Summer Madness in June and you’ve got a whole lot of big tournament action right here in our own backyard. There’s plenty more to come as well, including the Oaks Card Club’s ongoing player of year series and Livermore Casino’s various “Road to …” qualifying events where they send players to the World Series and World Poker Tour. Coming up and deserving special notice is a new one from Stars Casino in Tracy: the Stellar $30,000 Guarantee. Starting Aug. 13, this $260 buy-in will have four Day 1s leading up the finale on Day 2 (Aug. 21). 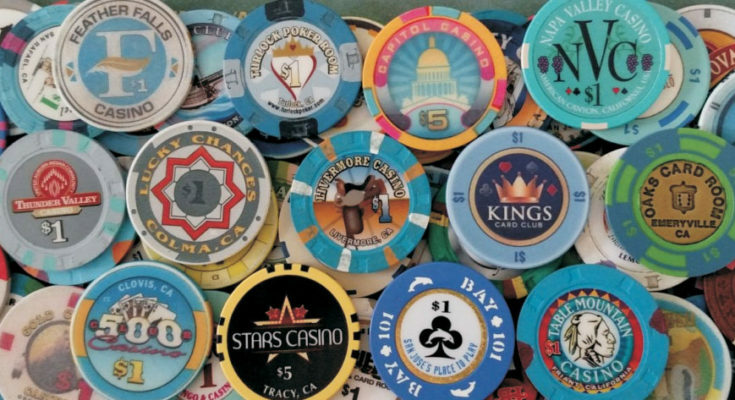 Players will start with 20,000 chips and play 30 minute levels. Make the short trip to Tracy to check out this tournament and the nice facility they have there! All of these events have seen lots of travelers showing up from all around Northern California and it is your humble Ambassador’s humble opinion that this is great for everybody. For a calendar of the special events coming up in NorCal, go to thecardroom-norcal.com/events/list/. Previous PostNorCal WSOP results Next PostJohnson wins 2nd WSOP bracelet in $3K H.O.R.S.E.